Time flies so fast. Especially when you’re enjoying what you do. A year ago, I was counting the hours at the office, eager to leave work and do my own thing. Now, I hardly have time to count because I’m having the time of my life in what I do. I am meeting a lot of very interesting people every day, learning from their own life’s journey, getting mentored by highly successful multi-millionaires and yet very humble individuals. This is life indeed. Whether you started the year in January 1 or follow the Chinese calendar (Kung Hei Fat Choi! ), it’s always a great idea to start the year right and on the right note. This is the season of new year’s resolutions. Of taking new beginnings. Of fresh new look, hairstyle, or even new hope for a brand new year. Today what I’d like to do is share with you some ideas on how you can maximize this year by starting it right. Let me share with you how I started it, and hopefully you’ll get some ideas of your own. Right after the new year’s celebrations, I hit the ground running with a 3-day retreat with our guest speaker, none other than one of the most sought-after motivation speaker around the world, Mr Francis Kong! The retreat’s theme was aptly described as Recharge 1.0 because last year 2011 has been a gruelling, but very fruitful and rewarding year for most of us. 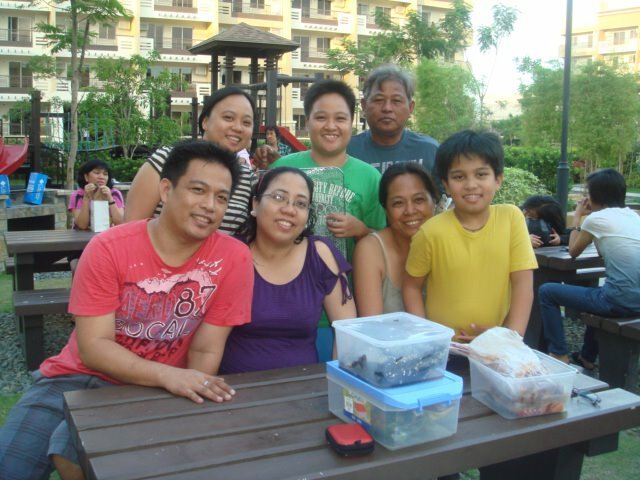 It really helped me reflect on the past year’s blessings in our family’s, spiritual life, financial and personal. And also provided a venue to recharge for another great year ahead 2012. This exclusive retreat was organized by XTRM 1-11, and spearheaded by one of my youngest but highly successful and driven mentor, Ms Ivy Dela Cruz. I’d like to share with you a video to illustrate how much fun we’ve had during that 3-days! Right after that retreat I had to go straight to my hometown in the northernmost part of the Philippines to attend my grandfather’s funeral. He lived a long, healthy and meaningful 99 years of his life touching many lives. From what I heard, he died in his sleep and did not have to endure so much pain. But before he died, he was a very loving husband to my grandmother through all those years. I spent my time growing up in the provinces in the company of my grandparents when I was young and I have always had very fond memories of them. It’s an experience I would treasure for a lifetime. Seeing all my cousins, uncles and aunties and relatives mourn and share their sadness, I realized how death sometimes connects each of us together. All walls break down. All shortcomings are set aside for a moment. All bitterness and shallow misunderstandings are temporarily forgotten. More than that, while listening to my dad share a story of how my grandfather touched the lives of many people, I realized that we are all passers by in this world. One day, we too shall pass. What is left is the lives we’ve touched along the way. My grandfather certainly had an impact on many lives not only with his 10 children and countless grandchildren, but all the other people who seeked his help. My grandfather had the gift of healing, of being able to pray and be an instrument of God’s love to his people. My dad seemed to have inherited the same gift. What’s great though is that they both acknowledge that it’s simply God working through them to bless other people. I’ve been very blessed to have a grandfather who had a pure heart. Yes, he had his own shortcomings. But aren’t we all? What matters more is the love he freely shared and blessed this world with. Cheers to you my grandfather, lilong Kido! Your legacy will live in our hearts forever! After getting a few days rest, I’ve had the chance to get my thoughts together and really plan for this year. I’ve had to really think long and hard what I want to do this year. Last year was really a great year for me and my family with all the blessings that we’ve received. And sometimes I still wonder, what more blessings can I ask God this time? This was time to dream again. And dream I did! I have lofty goals this year but I’ll leave that for my next article. For now, my tip is for you to take some time to dream and set your goals for this year. Write it down. Cut out some pictures if you can and put it in your dream board. After setting my goals, my next step was to plan. So, I got myself a planner. Last year, while it was very fruitful it was also a great learning experience for me. For the first time, I had to be accountable for my own results. I had no boss. There’s no one telling me what to do. There’s no one checking on me every now and then if I delivered what I promised. I’ll share with you some other productivity tools that I do next time, but for now just get a planner and create a plan to get your goals this year. Next step for me was to get going and take action. And that’s what I did. In my business, I meet very interesting people every day, learning from their stories. I learn from their successes and challenges. It’s really amazing seeing through another world out there different from my own. For 9 years, I was in front of computers day in, day out. Now, for the first time in my life, I get to interact with people with colorful lives. 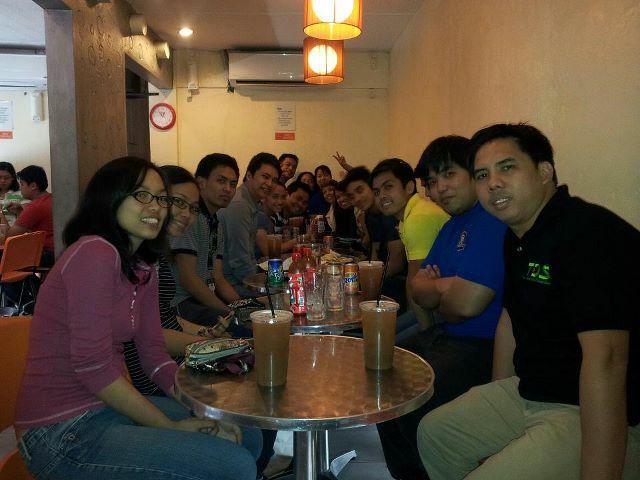 Here I am with my business partners from Cebu gracing our company’s convention in SMX Mall of Asia. I also had the good fortune of being invited to share my thoughts on stocks investing with almost a thousand PUP banking and finance students this month. I had a really great time enjoying the event, especially in answering the very intelligent and interesting questions from the young and energetic crowd of future business leaders of this country. I still can’t get over this simple token they’ve given me. It’s the first time someone thought of giving me this kind of a wonderful gift. 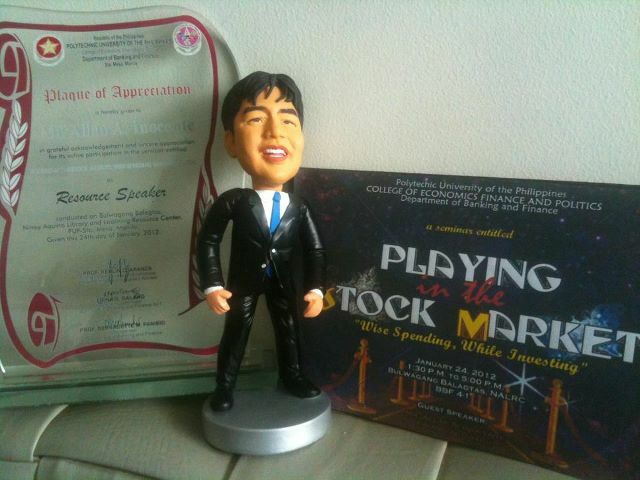 To the PUP banking in finance students, thanks again for inviting me to share with you. All I can say is you guys rock!!! Tip # 5 – Have fun and enjoy every moment. Here I am enjoying a nice barbecue party for new year with my family at our new home. One of the best new years I’ve had so far! I also spent my birthday party with friends. Here’s a picture of us munching at Charlie’s Burger. As you can obviously see, I am having the time of my life! Thank YOU Lord for all these blessings!!! Truly YOU are the greatest!!! From the bottom of my heart, I would like to also take this time to say THANKS TO YOU my dear reader for sharing in my journey. You are one of the reasons I get excited each day gettting up in the morning, having fun and enjoying this wonderful life! I pray that whatever goals you set for this year, God will grant you the wisdom to create a workable plan to help you bring closer to your goals. I wish you well, and let’s go get our goals together this year with flying colors! Cheers to a successful 2012!! !